Cloud Musings, a GovCloud Network Property, is proud and honored to announce that we will now be serving over 3 Million Dell Community online daily viewers. Our content will focus on Cloud Computing for Business and will continue to provide independent and vendor neutral information on how business, government and non-profit organizations can better leverage the global and parallel nature of cloud computing. In continuing our heritage as an independent content provider, it is important to note that this is not an exclusive syndication agreement. We are also not becoming a Dell information outlet. 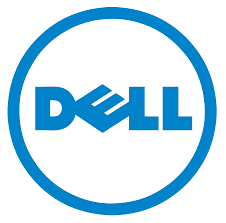 The agreement specifically charters Cloud Musings to provide information, insight and lessons learned to the Dell global readership on the cost effective employment of cloud computing related technologies. The manufacturing industry uses the cloud for logistics, sales support functions, HR, product development and life cycle management, as well as in some manufacturing operations. Data and information flow across these various business processes have their own unique challenges. Over the coming months, our posts will address these differences and provide vertical related best practices. Our industry-focused solution implementation coverage will include things like big data analytics, disaster recovery, digital publishing and social media. Thank you for continuing to place your trust in GovCloudNetwork and Cloud Musings. We look forward to continuing and expanding our mutually beneficial relationship. Also, don’t forget to look us up at…..